There’s no doubt in my mind that artificial intelligence (AI) – the ability of machines to interpret the world around them, learn and make decisions, in a way that simulates human thought processes – is going to utterly transform our world. Fuelled by the incredible amounts of data we’re creating every day, computers, robots and other machines are getting smarter all the time. In this article, I’ll look at both applications in more detail, along with real-life examples of businesses that are already capitalising on AI technology. But before we get to the practical applications of AI, I have one word of warning: when applying AI (or any other new technology, for that matter) in your business, it’s vital you act with your overarching business strategy in mind. 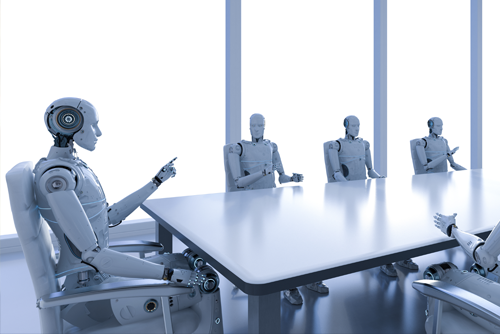 In my experience, far too many companies, keen to jump on the AI bandwagon, embark on AI-related pilot projects and experiments with barely a nod to the organisation’s strategic goals. But if new projects aren’t designed to help deliver your business strategy, aren’t they just a waste of time and effort? Therefore, before you look at applying AI in your organisation, pause and consider your strategy first. Ask yourself, what is your business trying to achieve, and how can AI help you achieve those objectives? In the first instance, this will involve reviewing your business strategy to check that it’s still relevant (because you don’t want to be applying AI to an outdated strategy). Then, once you’re happy with your strategy, you can begin to look at ways AI can help boost business performance and feed into those goals. It all started with the iPhone. Now, a whole host of everyday products, tools and services are ‘smart’ (i.e. Connected to other devices and tools via the Internet), including smart thermostats that let you remotely control the temperature in your house via your phone, and smart office chairs that give feedback on your posture. Customers have wholeheartedly embraced these smart products and services. So where does AI fit into this? This proliferation of smart products and tools means companies have access to more customer or user data than ever before. AI technology offers the potential to learn from this huge amount of data so that businesses can deliver improved products and even slicker services. Think of Facebook recommending ‘people you may know’ or automatically suggesting friends to tag when you upload pictures – both are examples of AI in action. In another example, car manufacturer Toyota has been working hard to create vehicles that act with human-like intuition. It’s AI-based Concept-i system, unveiled in January 2018, learns about the driver by, among other things, listening to conversations and analysing facial expressions and driving habits. This means the system is capable of sensing when you’re stressed (in which case, the massage seats might kick into action) or sleepy (in which case, the car itself can take over the controls). Even insurance companies are getting in on the act. Vitality, which provides health and life insurance, is incentivising customers to link their smart devices (like an Apple watch or fitness tracker) to their insurance policy. This allows the company to track how active and healthy customers are, so that they can offer discounts and rewards for staying active. In fact, customers’ monthly insurance premium is dictated by how active they are. AI is also delivering huge benefits to business operations, particularly when it comes to automating business processes. Because AI means computers or machines can learn from what the data tells them and decide what to do next, this means they can take on more and more traditionally human tasks. Automated vehicles are a fantastic example of this in action. Soon, when you order a pizza, you might open the door and find, not a moped driver on your doorstep, but a robot. Dominos has already begun using Starship Technology’s automated delivery vehicles (cute little robots about the size of a mini-fridge, that can hold four or five pizzas) to deliver pizzas in Hamburg, Germany. These automated vehicles are hugely efficient in cities, where traditional delivery trucks are costlier and less efficient for short-distance deliveries. Starship’s delivery robots aren’t just used by Dominos, either. The company has partnered with Just Eat in London to deliver takeaways, and Co-op in Milton Keynes to deliver groceries. I live in the Milton Keynes area and have regularly used Starship to bring me last-minute groceries – like that time I wanted to make breakfast pancakes with the kids and realised we were out of milk, so we had the robot bring us some! Having already clocked up 100,000 miles of journeys – at a top speed of 10mph – the company plans to expand its fleet of delivery robots to 1,000 by 2019. In the skies, Amazon has already trialled drone delivery for parcels, but did you know that, elsewhere, passenger drones are in the works? Aviation company Volocopter (which is backed by Daimler) has developed a two-seater air taxi, which was successfully trialled by taking Dubai’s Crown Prince on a five-minute test flight. The company hopes to be part of Dubai’s commercial pilot programme from 2020. Aside from driving (or, indeed, flying), other examples of process automation include ear buds that can translate languages in your ear in real time, computers that can write thousands of news articles, and image recognition technology being used to help spot anomalies in patients’ CT scans. AI is the next wave of the Big Data revolution, and these examples show how AI is enabling real companies to better serve their customers and improve business processes. Organisations can’t risk being left behind in this revolution but, remember, as with any new initiative, it all starts with strategy. If you can align your AI applications with your strategy, then you stand a much better chance of accelerating business performance.